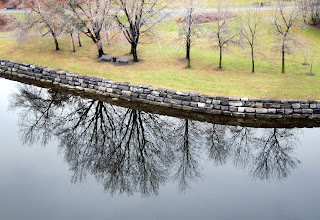 The Ottawa River was so calm and clear one day last week that you could see perfect mirror images of the trees in the water. It looked like a beautiful upside-down world. I love that the reflection of the trees look fuller and appear to have more branches then the actual trees do. This is a very "dreamy" photo! 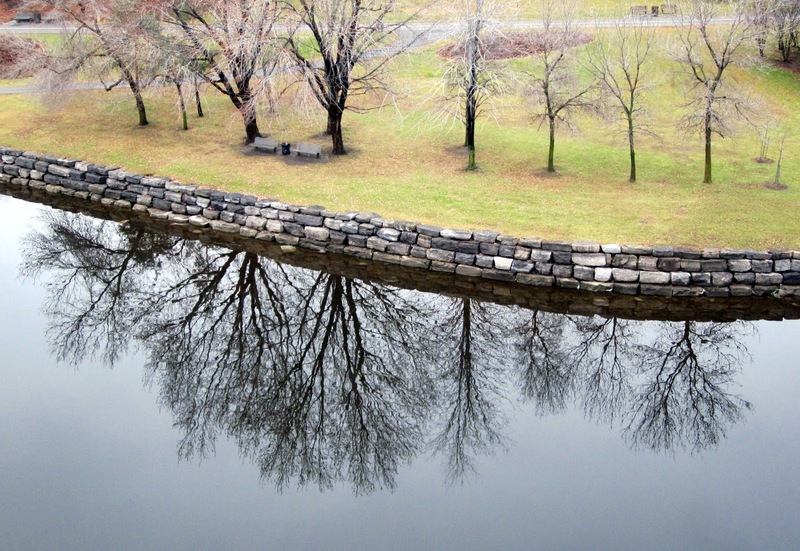 The rock wall ties in beautifully with the tree reflection.